Mobile payments startup MobiKwik led the fundraising activity this week. In a statement on August 26, the digital wallet company said it had raised $40 million in Series C round from South Africa-based mobile payment solution provider Net1. This was the largest deal announced in the week. 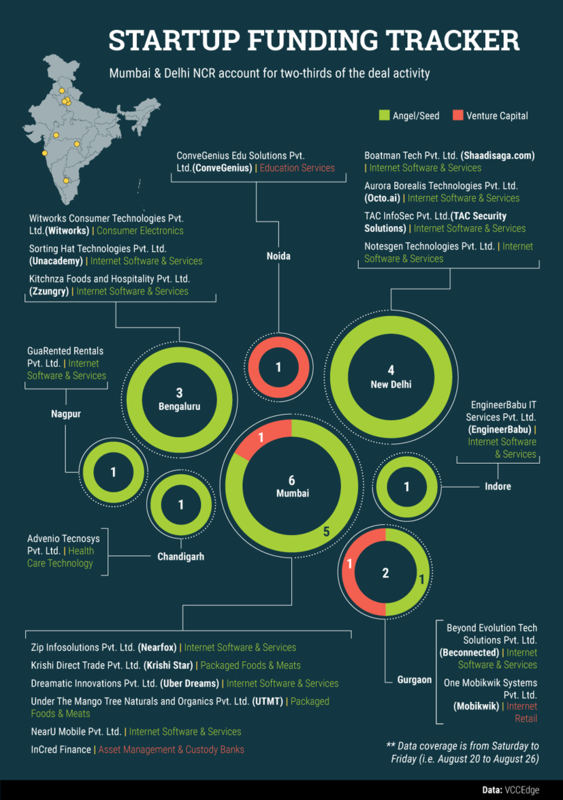 Of the19 startups that raised investment, two were ed-tech companies. These were Unacademy, a Bengaluru-based learning website, that raised $1 million from early-stage tech investor Blume Ventures, and ConveGenius, which raised a tad lower than that from Michael and Susan Dell Foundation. Here is a detailed account of all the fund-raising in the week.